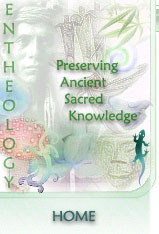 One of the most powerful herbs of the Tarahumara of Mexico is apparently a species of Scirpus. Some medicine men carry Bakana to relieve pain. The tuberous underground part is believed to cure insanity, and the whole plant is a protector of those suffering from mental ills. 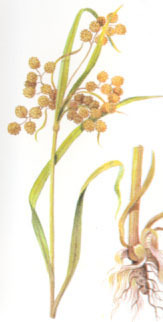 Alkaloids have been reported from Scirpus as well as from the related genus Cyperus. The intoxication which it induces enables Indians to travel far and wide, talk with dead ancestors, and see brilliantly colored visions. Some medicine men carry Bakana to relieve pain. The tuberous underground part is believed to cure insanity, and the whole plant is a protector of those suffering from mental ills. TRADITIONAL PREPARATION: The tuberous root of this plant is used, exact preparation is not known.